Chennai (India). The recently concluded Synod on “Young people, the faith and Vocational Discernment” echoes in Tamil Nadu, India, in the province of St. Thomas the Apostles-Chennai. 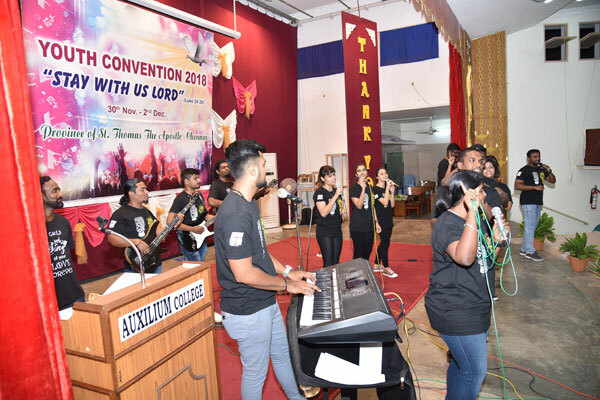 The three-day Youth Charismatic Convention from November 30 to December 2, 2018, organized by the Salesian Sisters of Chennai Province and held at Auxilium College, Vellore, was indeed a mega event and for the 1060 young girls from our institutions it was a deep spiritual experience of staying with Jesus. The Youth Convention with the theme: “Stay with us Lord” (Lk. 24: 29) is a small but significant step towards making the young people aware that they too can attain holiness. The event was animated jointly by the ‘Youth United for Christ’ and Catholic Charismatic Renewal Group, Chennai, a team of 30 persons.